How Can We Empower Veterans? Veteran-serving organizations and community groups constantly share ideas and insights on how to better support veterans, their families and caregivers. This collaboration is encouraging because it shows how we are all dedicated to going beyond simply providing services to veterans – we want to empower them to achieve the quality of life they have earned through their service. 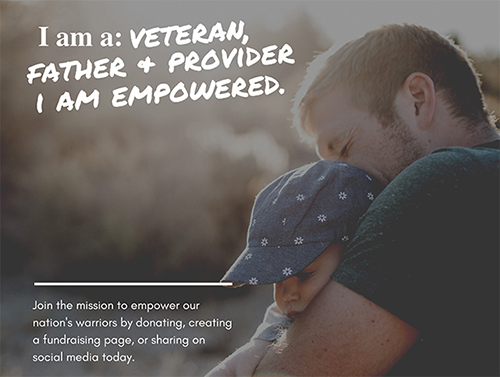 Our team at America’s Warrior Partnership approaches the goal of empowering veterans through a holistic approach embodied by our Community Integration service model. Each of our affiliate partners across the country utilizes this model to serve veterans, connecting them with various resources and service providers throughout their community. This emphasis on proactive, holistic service is exemplified by a story recently shared by our affiliate based near Buffalo, New York: the Veterans One-Stop Center of Western New York (VOCNY). In 2018, the VOCNY team began helping an active Army reservist who was experiencing severe depression and anxiety. The reservist’s mental health issues impacted additional areas where she needed assistance, including employment and housing. Historically, this reservist would have to engage several different service providers to find the help she needed, a challenge amplified by the fact that she may not know where to start seeking these services. Our Community Integration model circumvents this issue by providing veterans with an advocate who can guide them towards the resources they need. The VOCNY took this holistic approach with the reservist, and she was connected with an advocate who made sure she received the assistance she needed as quickly as possible. The advocate worked with VOCNY’s community partners to secure temporary housing, while a connection with the local Goodwill helped the reservist begin a job search. The advocate also ensured the reservist could receive mental health services to address her depression and anxiety. 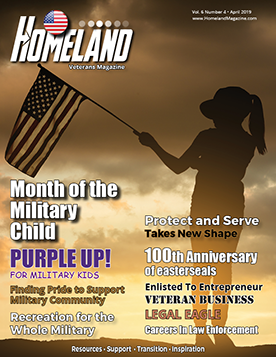 Rather than simply connecting an Army reservist in need with a service provider and moving on to the next case, the VOCNY’s dedicated advocate built a long-term relationship with the reservist and focused on providing holistic support. This guaranteed the reservist would receive the resources she needed in the moment as well as assistance in the future to overcome new challenges. Providing holistic support to empower veterans can take several forms, and the key challenges that communities face often change from one year to the next. One of the reasons why our Community Integration approach continues to work is because we listen to the feedback of our affiliate partners and local veterans. Every year, we conduct a nationwide survey among veterans to learn about the areas where they are doing well along with those where they need support. We share these insights every summer in our Community Integration Annual Survey Report, which is made available to the public through the America’s Warrior Partnership website. As an example, our 2018 Annual Survey Report found that the top three areas where veterans seek resources are opportunities for recreation, networking with fellow veterans and volunteerism. These reports empower community groups across the country with the understanding they need to provide holistic, proactive services to local veterans. To ensure we can continue providing the most accurate insights, we have opened up our survey for the 2019 report to any veteran, family member or caregiver interested in participating. Those who want to have their voices heard can learn more about the report and participate by taking our online survey. Jim Lorraine is President and CEO of America’s Warrior Partnership, a national nonprofit that helps veteran-serving organizations connect with veterans, military members and families in need. Learn more about the organization at www.AmericasWarriorPartnership.org.